Katherine (BA' 81) and Gordon Keep (BSc ’79) embody Queen’s spirit through their dedication to Queen's. This is reflected through their work with the Department of Geological Sciences and Geological Engineering and their distinguished careers in finance, management, and natural resources, as well as their extraordinary contributions to the community. They are, individually and as a team, an inspiration and role model to many Queen's alumni in the Vancouver community. These outstanding alumni are truly worthy recipients of the 2018 Kathleen Beaumont Hill Award. 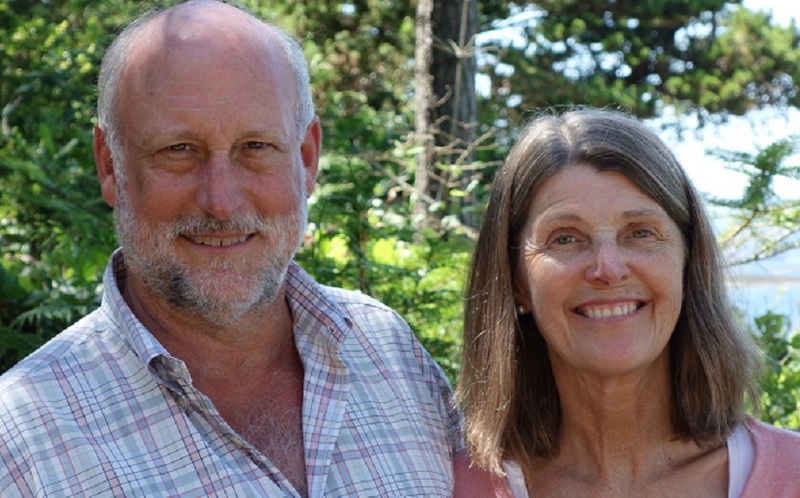 Gifts in honour of Katherine and Gordon Keep will be allocated to the Queen's University Geological Field Studies Program. The field activities in the Department of Geological Sciences and Geological Engineering are an integral part of our programs. Field trips for one or two days, and one to two week Field Schools provide excellent learning opportunities that prepare our students for their future careers. Most students participate in over 240 hours of field education in our programs. This is made financially possible by the contributions to the Geological Field Studies Fund.